After military service and college none of the band members lived in the same area, so there was never an opportunity to “get back together.” At high school class reunions, classmates encouraged theBadSeeds to perform one more time, but it never materialized. TheBadSeeds did not resume performing as a band until the spring of 2000 when Mike Rushing suggested the band should throw a big bash “live” at McGregor Hall [the old Hermann Sons Hall]. The first band reunion was so successful there were two more to follow. 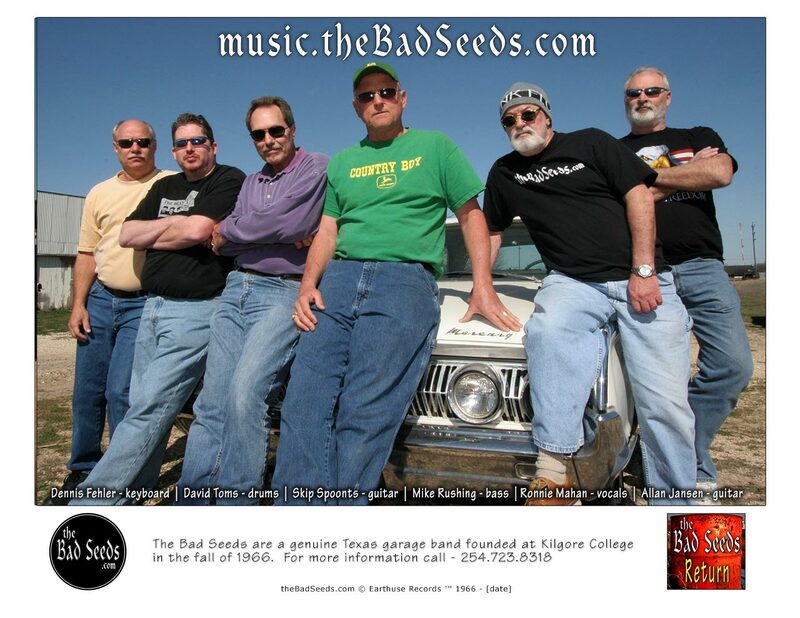 The three band reunions were titled Bad Seed Bash’s [2000-2002] and featured a few of the musicians in the Waco area to sit in and share the enjoyment of playing together one more time. Most recently, the band performed a few years for Founder’s Day in McGregor. 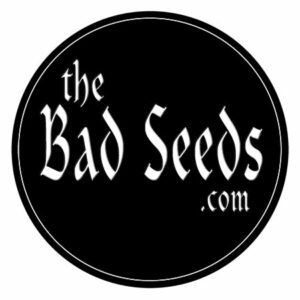 TheBadSeeds played cover music by The Kinks, The Doors, The Animals, Wilson Pickett, The Rolling Stones, The Kingsmen, ZZ Top, Jonny Lang, Jimi Hendrix and many more.